Our cottage is located near the beach (2 miles) and an hour from New Orleans. There are a variety of amenities (pool, indoor & outdoor kitchen, gazebo with fireplace and DirectTV, and and X-Box. The space is good for couples, solo adventurers, families, and military. It is also awesome for snowbirds seeking a peaceful and warm refuge from Northern winters. The cottage is designed around an open space concept- all in one room with separate bathroom. You have a full cooking/dining area, TV nook, and queen bed. Of course, the bathroom is separate and has a door. 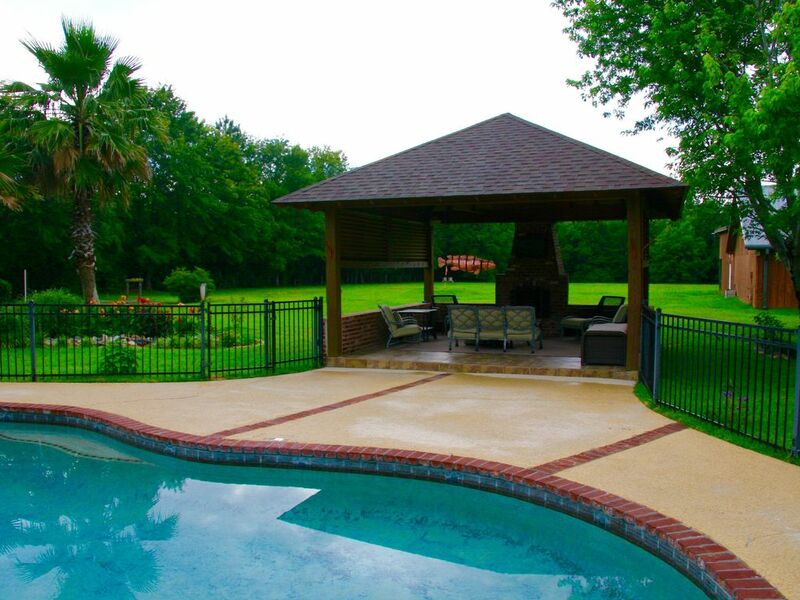 Outside, our guests have access to the outdoor kitchen/bbq, Gazebo (with fireplace), Pergola, and pool. World traveler, engineer and businessman. Married to world class surgeon. Settled on the Gulf Coast in 2014 as a prelude toward retirement. Our cottage is decorated with art and photos from our living in East Africa for 3 years. Beautiful landscaping. Natural salt pool. Private and spacious. Pool, outdoor kitchen/ bbq. Directv with X-box. Pool towels. Very friendly dogs who often swim with guests. Close to beaches/ Gulf of Mexico. Bathroom features shower, toilet, vanity and hairdryer. Beach is two miles away. High efficient mini split unit plus ceiling fans. Bed linens for booked guests. We provide both pool and bath towels. One per person please! Indoor and outdoor areas for six. Directv with many saved movies. Natural finish simulating sea bottom. Salt water system with low salinity & chlorine.